The Greenville University Men’s Soccer team is getting down to the end of their 2018-2019 season. 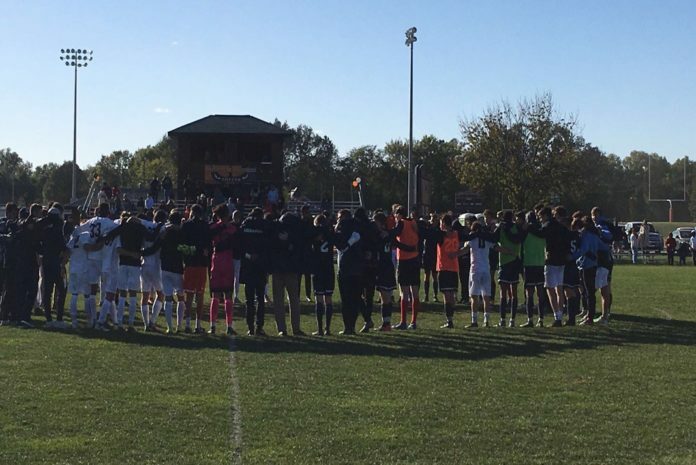 The team just won the SLIAC Championship this past weekend against Iowa Wesleyan. ‘The Young Bull’ and rookie Caleb Flouney has been there through it all. 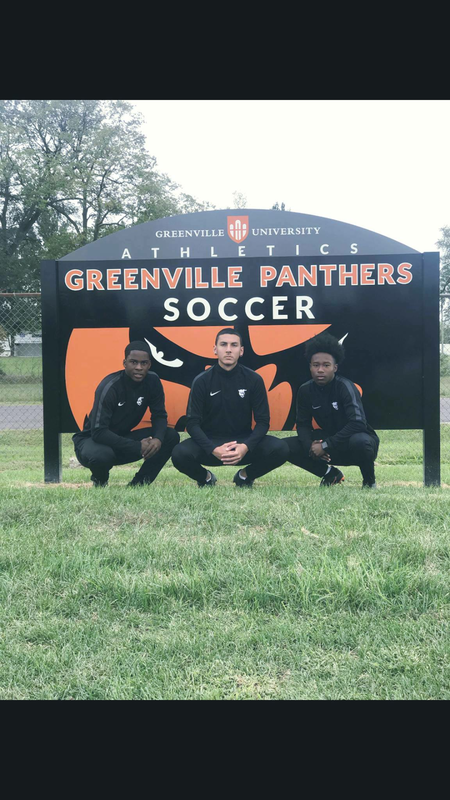 Flouney is a freshman here at Greenville University and as a contributing member of the men’s soccer team. Even with this amazing group of guys that is on the varsity team, the Young Bull is still able to be on the varsity roster as a freshman. Caleb Joe Flouney is his full name, but Caleb Joe is what people call him. Flouney is from Thomasville, Georgia, which is three hours away from Atlanta. Flouney is studying Digital Media, and has a lot of small things about him that most people do not know. For starters, he has his own Youtube channel that he hosts, called the Caleb Joe Show. Feel free to check it out here. Also, Flouney has a fraternal twin that is here at GU with him, named Joshua Flouney. Josh does not play soccer with Caleb but, rather, displays his talent for our GU Track & Field team. The best thing that could happen in college as a freshman is to have someone there that you’re comfortable with. 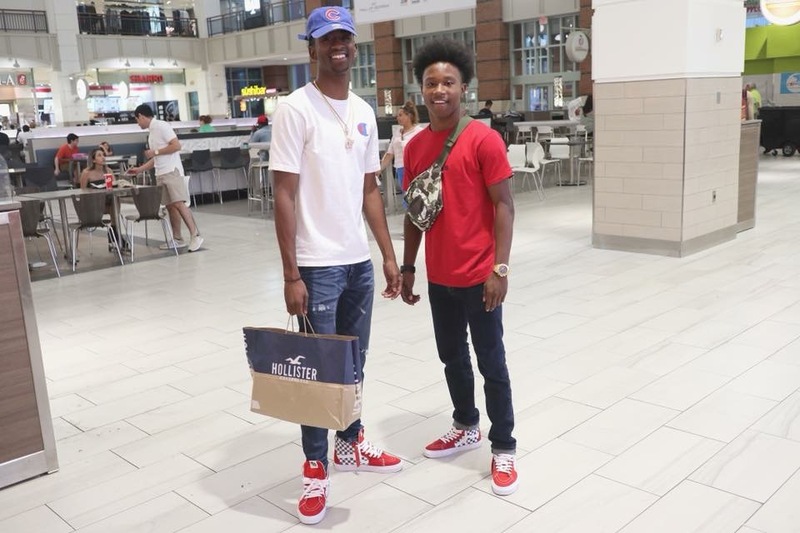 In this case, the brother-to-brother relationship they share has made the transition to college a breeze. Flouney has been on our GU soccer team all season playing on the varsity team. He has not started but he has played a few games. This group of guys is diverse and very talented, so Flouney has set the standard for himself to be a part of this team. Flouney has played several different sports throughout his life but decided to play collegiate soccer for Greenville. He started playing soccer in early elementary school, but took a break from soccer until his sixth-grade year and has stayed with it since then. He has a long past playing the game of soccer which goes to show his love for the sport. Flouney’s position on the field is either left back or a left wing. Flouney has been through some ups and downs this season but, as a freshman, who doesn’t? Adjusting and adapting to the new college life and having to deal with certain things you never had to deal with before may cause you to go through ups and downs. On the positive side, he has fought through those different battles and was able to adapt. Brotherhood is huge on the soccer team with these guys. Ruben Martinez is one of Flouney’s soccer brothers that he looks up to and just loves to play with. It’s always good that you create these types of relationships as a freshman. As a senior, you would look back on the memories and the relationships that you built while being on the team. Flouney’s plan from here on out is just to get better throughout his soccer career here at GU. Good luck to the Young Bull and the rest of these men as they travel to the NCAA Division III Regional this weekend!